Skyfall is a tough act to follow. As the highest grossing Bond film of all time (just outpacing Thunderball), Skyfall has been heralded as Craig’s best Bond film. 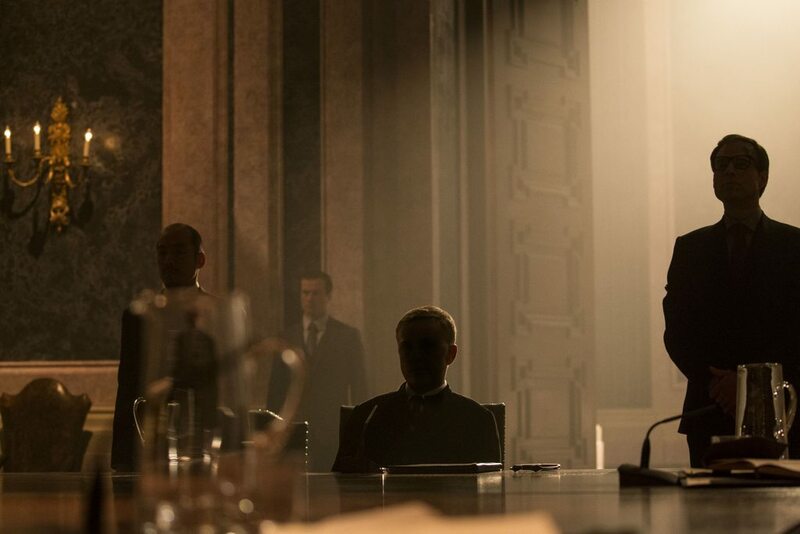 With the exception of a few, Spectre returns with Skyfall’s exceptional team. But can the twenty-fourth film in the hugely popular Bond franchise live up to expectations, or do we have another Quantum of Solace1 on our hands? Craig is back in his fourth instalment as Bond. James Bond. (Just like Craig I will only say that once—a breath of fresh air over the abundance of that line with previous Bond actors.) Ralph Fiennes is in his role as the new M, a position he took on in the last thirty seconds of Skyfall. The new Miss Eve Moneypenny (Naomie Harris) takes her role into (an underwhelming) full swing, after teasing her character in Skyfall. Ben Whishaw is also back as the young, loveable Q. While Desmond Llewelyn will always be Q—somewhat unavoidable since he played Q in seventeen films—Whishaw is quickly becoming my favourite. Lastly, the ever amazing Christoph Waltz is our (under-utilised) bad guy. But more on that later. I went into the screening apprehensive. All the reviews said the same thing; Spectre tries to be everything at once, and succeeds at being nothing. Jacob Kleinman puts it, “…if you missed the last few movies there isn’t much reason to bother with this one. As for the future of 007, rumor has it the series is heading towards another reboot, and after Spectre we’re definitely due for a fresh start.” Words like those really didn’t make me excited for the film. Well, of course I was excited, it is Bond after all. I mean it didn’t get me more excited. This lowering of expectations probably helped though. Casino Royale and Skyfall were such Bond masterpieces that the prospect of a new Daniel Craig-James Bond film was so enticing. Maybe this is part of the problem. 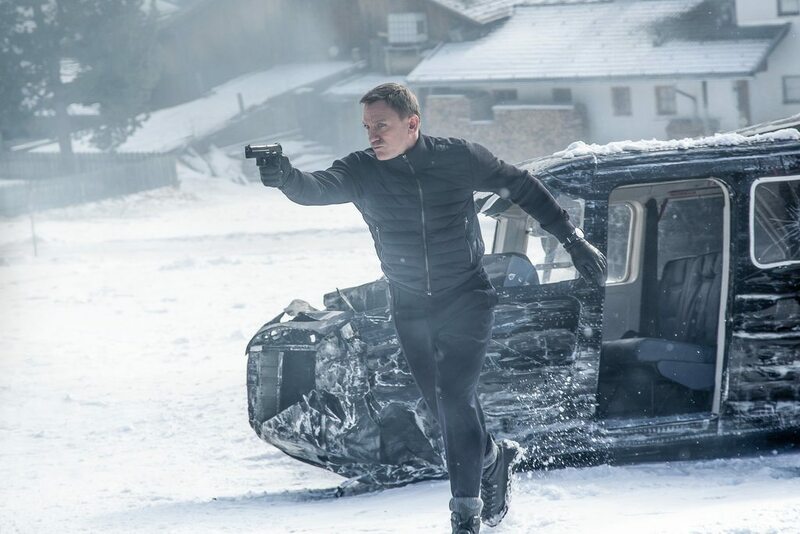 Medes, Craig, and team, pulled out such an amazing film with Skyfall that Spectre never even stood a chance. It’s like when you give a speech straight after the best speaker, even if you’re second best you may as well be terrible. Nobody can stop thinking about how great the person before you was. I feel Spectre—and Quantum of Solace—have fallen victim to this. Casino Royale is listed often as the best Bond film of all time. This pressure really did impact people’s perception of Quantum of Solace. Something I was keen to not let happen to me with Spectre. The film opens with a beautiful one-shot of the ‘Day of The Dead’ festival in Mexico City. Bond has gone rogue and is on a mission to avenge the death of his beloved M (Judi Dench from the previous seven films [1995-2012]). The opening is reminiscent of previous Craig films, gritty action in an always-knows-what-to-do kind of way. The first glimpse that Spectre is branching away from the previous three films is the couch gag. After blowing up a building (the sequence is in the trailer) Bond falls what appears to be three or four stories. Instead of a crash landing, he lands square on a couch that just happens to be there. This gag got a muffled laugh from the crowd. It showed us early on in this very long (148 minutes) film that classic Bond tropes are coming back. Spectre is to be the franchise’s attempt at merging the modern Nolan-esque Bond with the classic Austin Powers-esque2 Bond. Spectre returns to including the barrel-shot sequence at the opening of the film. Skyfall, on the other hand, placed the sequence at the end to introduce the closing credits. This return to the original helps get the viewer in the mood for a James Bond film, because there’s nothing more quintessentially Bond than that gun shot sequence. The reason Skyfall could get away with placing it at the end, and Casino Royale could get away without the walk against a white background is because their title sequences set us up for the film. Writing’s on the Wall (performed by Sam Smith) I feel worked better as the instrumental version played three quarters the way through the film. The title sequence is underwhelming when compared previous films. Unlike previous title sequences, during Spectre’s I was wishing for it to end so we could get to the film. However, I do hold the widely unpopular opinion that the Casino Royale title sequence and song is the best of the franchise—most people disagree with me there. The story and plot is all over the place. Like most Bond films. The premise of the film (without spoilers) is that the SPECTRE organisation has been responsible for all the worlds atrocities in the last decade. In the last three films Bond has ended up in the middle of one of their plans and has successfully stopped them. This point is continually driven home throughout the film. We see the faces and hear the names of both villains and Bond-girls from the Craig franchise. One odd thing of note, however, is Dominic Greene—the absolutely crazy vallain from Quantum of Solace who is trying to steal water from Bolivia—is almost never mentioned. Even when Quantum (the organisation) gets frequent mentions, and we have a ten minute scene with Mr. White, the character of Greene is nowhere to been seen. I’m rather disappointed with how the ‘SPECTRE universe’ came together. From a real world production standpoint, I am aware that Eon Productions3 only came to reacquire the rights to that part of the Bond universe in recent years. However, it is painfully clear that the idea of a large mastermind organisation being responsible for everything from the last ten years just doesn’t fit. It’s not an inconceivable storyline on its own, it’s just that watching the previous three films it is blatantly obvious that this was added after the fact. The film is beautiful. Maybe not as beautiful as Roger Deakins’4Skyfall. That film has some absolutely-breathtakingly-stunning shots. Spectre is beautiful though. I particularly enjoyed the desert scenes. The shots of London were mostly average, nothing much special. Though they didn’t spend very long in London. I’m glad that Bond hasn’t fallen susceptible to the post Jason Bourne era shaky-cam. There’s some great action in the film, but also some annoying tropes. I enjoyed the fist-fight on the train. Mostly because they intentionally never go on the roof. For a film littered with half backed tropes, I’m really happy that they didn’t feel the need to go onto the roof. Having said that, I’m annoyed with the one liner ending of that scene. Henchmen shouldn’t speak. Also Bond has a little too much luck with flying objects crashing at the perfect time. I didn’t ever feel in danger for him. On that point. The torture scene pales in comparison to Casino Royale. Many people in the cinema squirmed and gasped, but it really didn’t grasp me. All this talk about irrevocable damage, and nothing comes of it. Whereas in Casino Royale you really felt for James during the torture. Regarding characters, I feel Fiennes did a fine job with M. A good mix of authority figure and understanding friend to Bond. Not the same relationship that Olivia Mansfield (Dench) had with Bond, but an appropriate one that will grow with time. Eve Moneypenny (Harris) was underwhelming. Many of her scenes involved standing in the background or walking at the rear of a group of people. Moneypenny was present in many of the MI6 scenes, but save for a few instances had very little to do. I wish Mendes had utilised her character more. Though if her under-utilisation was to allow Q to shine, then I’ll take that any day. Whishaw is an outstanding Q. If we ignore the jab at the lonely-nerd-living-alone-with-two-cats, I’m very pleased with the direction Q is going. Whishaw brings a charm to the super smart hacker Q, that really sells him. I look forward to how they continue to expand his character as James’ only friend. An interesting turn on the classics, where Moneypenny could often be relied upon as Bond’s friend (and unreachable love interest). In Spectre it appears Moneypenny has yet to expand out to this role, and Q is instead filling the position of the one person who Bond truely trusts. I love Waltz as villains. But it is clear that he isn’t capable of portraying those amazing characters we’ve come to know from Tarantino’s films without a story and director willing to let him. His character5 feels on the precipice of greatness, but just not there yet. I have the feeling they want to set up his character for a multi-film story arc, which has meant that they haven’t explored him as much in this film. Which is really disappointing. Clearly Waltz’s character is a troubled genius. 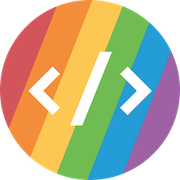 We can see that to some extent. But either in character development or in plot development someone didn’t take a step back and really question his motives for the SPECTRE organistion. It’s muddled for even the most knowledgeable of the Bond universe. I suspect the story went under a lot of rewrites, even as shooting was hppening. Aall round though Spectre is not the greatest Bond film, but it’s definitely one of the better ones. We’ve been so spoiled with Craig’s Bonds we’ve forgotten what a bad James Bond is actually like. They’ve tried to tie in some of the classic tropes (with varying degrees of success) and I think they’ll need to reconsider part of that for the next instalment. Will Craig or Mendes (or any of the cast) return for the next film? Who knows, and honestly that should be of little concern as you enter the two and a half hour crazy ride that is a James Bond film. 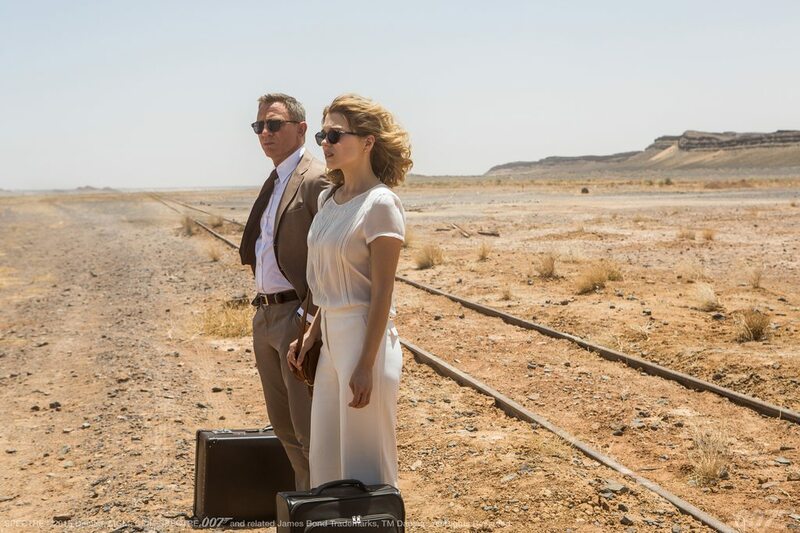 From the largest real explosion for a film, to tens-of-thousands of dollars Tom Ford suits, Spectre won’t disappoint. I’m not itching to see it again, but don’t let the negative reviews convince you it’s a bad film. It tries to be too many things at once, gets confused, and stuggles to find it’s feet. But it’s still better than 90% of films out there. Four out of five vodka martinis. Acknowledge it has shortcomings, and enjoy it for what it is; a great action film with impeccable suits and a bit of humour. Too damn suave… how is that suit still perfect!? If you enjoyed this review, please check out some of my others by heading to watched.patmurray.co and looking for films with the “Review” tag on them.